Penguins! Penguins on your head! 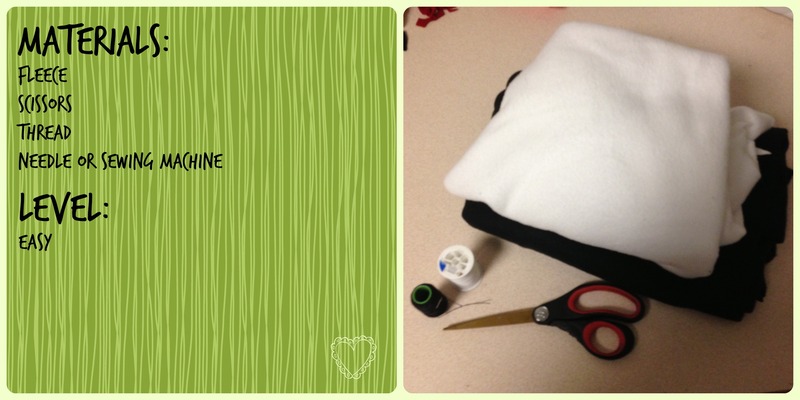 This is an easy, hand-sewable project that can be adjusted to create other animal beanies as well. Cut out four semicircles that are 6 inches high, making sure to leave a 1/4 inch seam allowance. Cut out a triangular dart from the peak of each semicircle. Fold each piece in half and sew along the dart. This helps make the beanie 3-dimensional instead of flat. Cut out two triangular pieces for the beak and sew up two sides, right sides facing together and turn rightside out. To insert the beak, fold the face in half and cut a line where you want the beak to be. Place the beak triangle inside the slit so that the beak is sandwiched between two layers of the face. Sew in a straight line to secure the beak. Place your face piece with another one of the semicircles and sew right sides facing together. Make sure that the dart seams are lined up, as shown here. Sew the remaining two semicircles together, right sides facing together. Cut a rectangular piece of cloth on fold that is the same length as the length of your hat. The width should be double the desired with of the band. Leave a little extra room on the ends for seam allowance. Sew up the side of the band. The face piece should be facing with right sides out. The lining piece should be placed inside the face piece with the seams facing inwards. The bottom edge of band should be placed at the bottom edge of the hat with right sides facing together. Sew around the band. Then, fold the band up on the inside of the hat and sew around the original band seam to stitch in place. Congratulations! You’re all finished with a cute accessory that will keep your head nice and warm. Personalized animal beanies make great gifts!